The Social Attraction Academy was founded in Brighton and Hove back in 2006 when we began coaching men in the art of how to approach and interact with women in bars and clubs. Since 2006, we have evolved tremendously and now operate full training weekends aimed at enabling you to become more successful at meeting and attracting women in your day to day life. Our training weekends run from a Friday evening through to the early hours of a Sunday morning and they consist of three separate sessions, with a maximum of three clients attending per weekend. 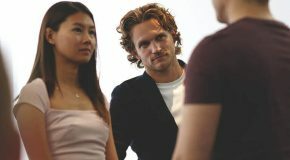 After meeting our head trainer, you’ll then begin your journey with an hour’s tutorial on rejection proof ways of approaching women in bars and clubs. During this first hour we will give you a clear structure to abolish any approach anxiety, and then quickly move you onto conversational techniques that you can use throughout the evening. During the next two hours you’ll then be taken to a variety of bars where we will offer you live demonstrations to match our tutorials. You’ll then have the opportunity for some of your own interactions with women, where we will be on hand to offer you any guidance and live feedback on your interactions. In the final stages of your evening, with your newly acquired poise, you will then be taken to a bustling bar to engage in longer engagements with women. This first segment really is about giving you referential experiences with women as quickly as possible to build your confidence. This session starts with a one hour tutorial in the distinctions made between meeting women during the day and meeting women in an evening environment, before embarking on a masterclass of demonstrations in how to stop and interact with any woman that find yourself drawn too. In the next few hours you will then be in a position to put what you have learned into practice, under the guidance and supervision of our head trainer who will ensure that your style and your technique are an extension of your personality. The final hour of this daytime session is spent in a relaxed environment where we will help you implement this new found confidence into your daily life. So whether you are drinking in a coffee shop, on your way to the gym, or walking past a woman you find yourself drawn to, this session is about giving you the confidence and the blueprint to make that into your reality. The final stages of your training starts with one hour’s coaching on the power of push/pull techniques, the art of mystery and an introduction into seductive frame control. For the following few hours you will then go on a journey from bar to bar, where you’ll finally be able to put all of your weekend’s lessons into your reality. Our head trainer will be on hand to offer any final demonstrations and make sure that you are comfortable and confident putting your new poise into practice. For the final hours of your weekend we will then lead you to a bustling nightclub to ensure plenty of fun interactions with plenty of fun women, whilst using our specifically designed mobile app to ensure some great interactions to round off your weekend. How Do I Find Out More About Your Pua Training Brighton? Hey Buddy!, I found this information for you: "Pua Training Brighton". Here is the website link: https://www.socialattraction.co.uk/pua-training-brighton/. Thank you.